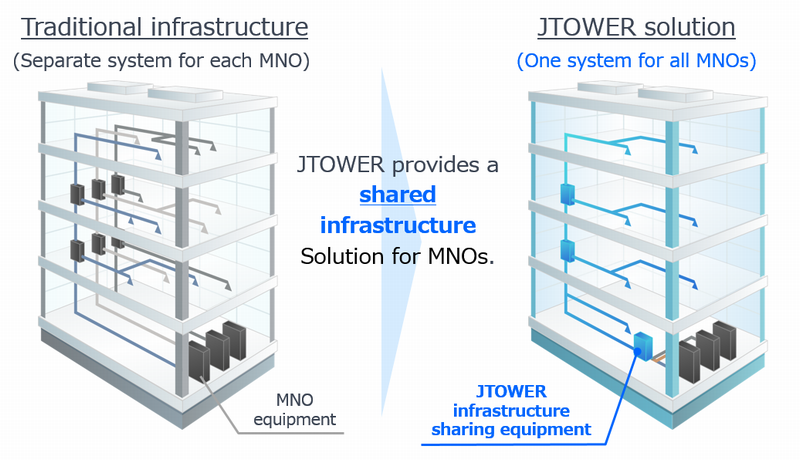 Tokyo, July 31, 2017 – JTOWER Inc. (Representative Director: Atsushi Tanaka) (“JTOWER”) has today completed the acquisition of the largest IBS (In-Building Solution: sharing solution of indoor mobile telecommunication infrastructure) company in Vietnam, SOUTHERN STAR TELECOMMUNICATION EQUIPMENT JOINT STOCK COMPANY (headquarters: Ho Chi Minh City; General Director: Nguyen Dac Lam) (“SPN”), through a special purpose company jointly established with Japan South East Asia Growth Fund L.P. (“JSEAGF”) jointly funded and managed by Development Bank of Japan Inc. (headquarters: Chiyoda-ku Tokyo; President & CEO: Masanori Yanagi) (“DBJ”) and Risa Partners Inc. (headquarters: Minato-ku Tokyo; President: Yoshio Narukage) (“RISA”). With the steadily growing economy, Vietnam has been seeing its mobile phone penetration rise above 100% and demand for mobile telecommunication infrastructure continue to grow. In particular, the IBS market, leasing of indoor telecommunication equipment (shared equipment) to multiple mobile network operators (“MNOs”), has been expanding rapidly with the rise of the mobile network traffic and the needs of MNOs to manage their assets more efficiently, and is expected to maintain its growth as plans for major real estate development continue to increase in Vietnam. Established in 2013, SPN is the largest IBS operator by coverage area (has No. 1 market share) in Vietnam, supported by its positive relationships with all three major MNOs, high quality services and expansive network with real estate developers. SPN has installed its equipment and services MNOs at a variety of buildings in Vietnam, including major high-rise office buildings, airport, hotels and commercial complexes. JTOWER is the leading indoor mobile telecommunication infrastructure sharing (equivalent of IBS in Vietnam) company in Japan and has installed and operates its equipment at a number of major establishments across the country including GINZA SIX, one of the largest commercial complexes in Ginza, Tokyo. Through the acquisition of SPN, JTOWER is expected to apply its high-quality service and technology developed through its operation in Japan to contribute to the advancement of the IBS market and telecommunication infrastructure in Vietnam. Based on its corporate philosophy to contribute to the society as a creative investment bank with funding, financing and advisory capabilities and its 10-year vision starting 2017 to have a global perspective and create shared value with partners to accelerate growth and continue to grow, RISA offers various values to Southeast Asian companies with high growth potential as well as to Japanese companies with a vision to establish presence in the region. Based on its corporate philosophy to apply financial expertise to design the future – to apply creative financing to resolve client issues while working to earn the trust of clients and help them achieve their future prosperity – DBJ actively supports growth companies in Japan by providing quality risk money to make the “Japan-originated world” possible.